As crazy it sounds every time I think about it: our finally is growing. We are expecting three newborns this years, and along with the preparations, we seek to provide the new moms in our family with the most useful and safe tools. One of my favorite things to give to moms are baby washcloths. Babies are messy, and a nice washing tool always comes in handy. 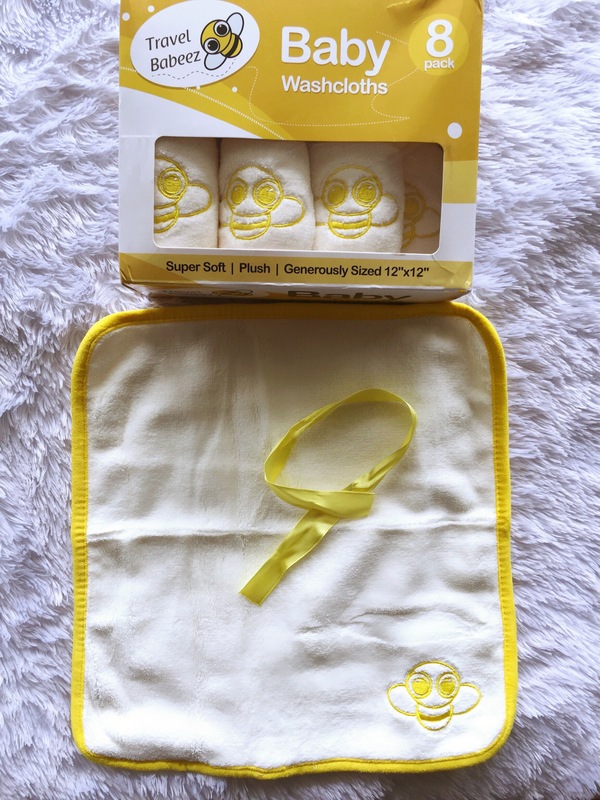 One of my favorite baby washcloths brands to purchase is Travel Babeez. One of the things I like the most about these washcloths is the detailing! The material is amazing, very well made, and each washcloth comes individually wrapped in a super cute yellow bow, which I think that it is beyond adorable! I also like that the color is gender neutral; this is something that is very important for many parents, so I try to purchase accordingly. The size is amazing, not only for washing newborn, but also drying the out, which I think is very efficient. The one thing that I love the best about their cloths is their care for their materials. The cloths are sturdy, yet soft enough to avoid any abrasion to the very sensitive baby skin, which is always a must. I’m in love with these and I’m sure you will too!